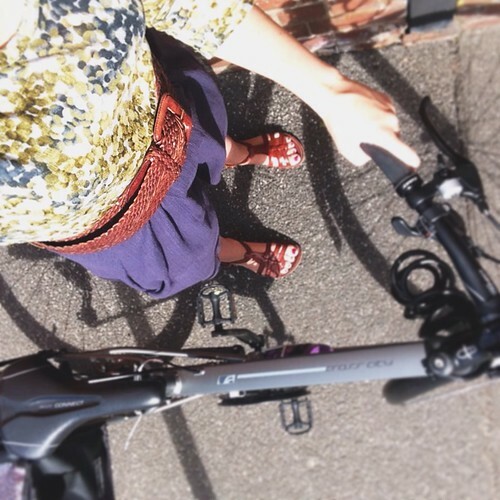 Leisl started a 30 day challenge over on Instagram in which participants would post a photo of themselves each day in the outfit they are wearing to ride their bike. The idea is that you CAN ride in regular clothes and without an inch of lycra in sight. I joined in at the beginning but then soon realised that a) I don't ride my bike every single day and b) my wardrobe is seriously lacking in outfits interesting enough to post each day on Instagram. I often wear the same outfits over and over again which would result in very boring Instagram posts! I've spent the summer wearing a seriously limited wardrobe. I suppose I kind of inadvertently challenged myself to see what I wear regularly, find out what was missing and what could go from my already limited wardrobe. This has been partly by choice, I sold a lot of my handmade dresses because I no longer wore them and donated or chucked many garments that were not worn or no longer fit. It was also partly due to lack of time to sew more clothes for myself. As much as I want to and have plans galore to make new clothes running a small business leaves little time for selfish sewing unfortunately. I didn't want to jump into sewing all the awesome patterns I came across only to have a wardrobe filled with mismatched garments (again). Instead I decided to live with what I have and figure out what my essentials are. I've come to the conclusion that I need comfortably clothes that are practical for bike riding and working in the studio. So more t-shirts, tops, singlets, jeans, pants, leggings, garments made from stretch fabrics, a warm comfortable coat, cardigans and sweaters in fabrics, yarns and colours that work together. So, I'm making a point of putting aside some time to do some mindful selfish making. Time. Time is the challenge! I've started re-knitting my Lila sweater that was mentioned in my last post. 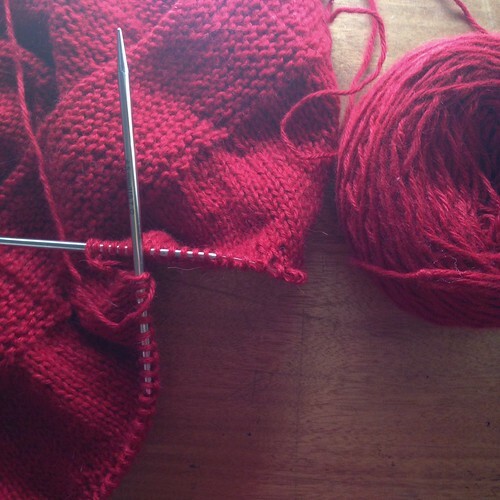 It's funny how making something over again means you can reassess the decisions you make. I've chosen to knit a size smaller this time and have also taught myself to knit continental which is much faster. I've also cut out a pair of jeans using a vintage Vogue Calvin Klein pattern. I'm using some denim from the stash as my muslin and have spent a fair amount of time researching tips and techniques. If I'm going to go to the effort of sewing jeans I want my muslin to me wearable if they work out as well as I hope. It's surprising how few good jeans patterns there are out there. My other choice would be the Ginger Jeans by Closet Case Files but I'll see how these turn out first since I had the pattern in my stash already. More posts to come about this adventure! My major make this winter will be a coat/jacket. 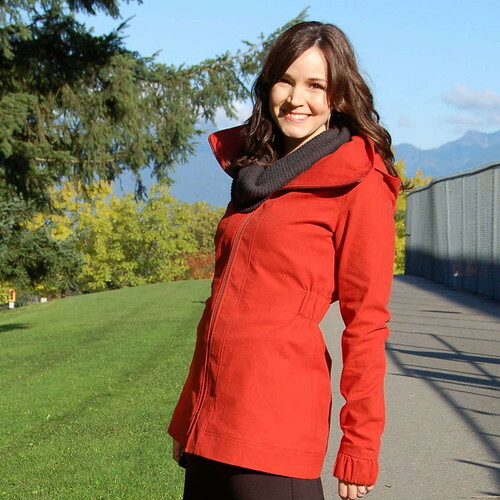 I need something suitable for bike riding that will keep me warm and comfortable while riding my bike. 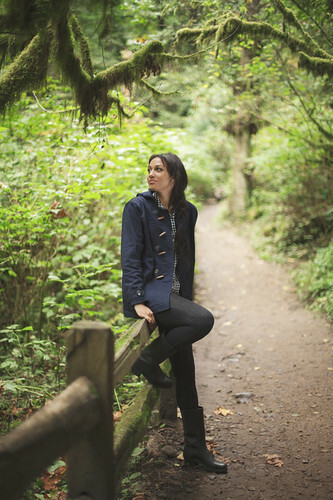 I'm considering the Albion jacket (above) or the Minoru jacket (below). On minute I'm leaning heavily towards the Minoru then the next minute I want to make the Albion. Have you sewn either of these patterns? What are your thoughts? The one particular garment I always seem to never have enough of is tops. Just basic tops in neutral colours that can be mixed and matched with the rest of my wardrobe. 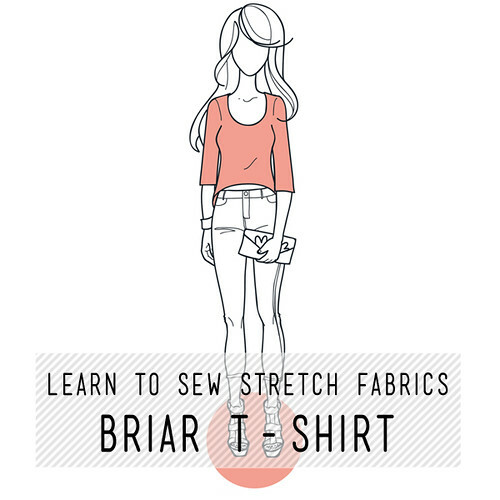 So I'll be sewing up a bunch of tops with the Briar t-shirt pattern being top of my list. 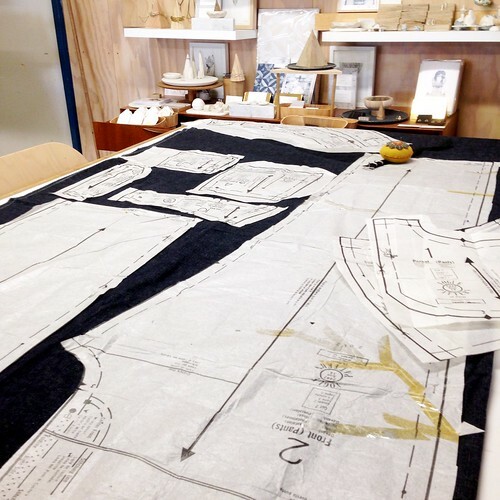 If you'd like to make your own Briar t-shirts you can join us in our workshop coming up in May.